Lisa Levart has been creating alternative photographic portraits of women embodying poetic myths for well over a decade. 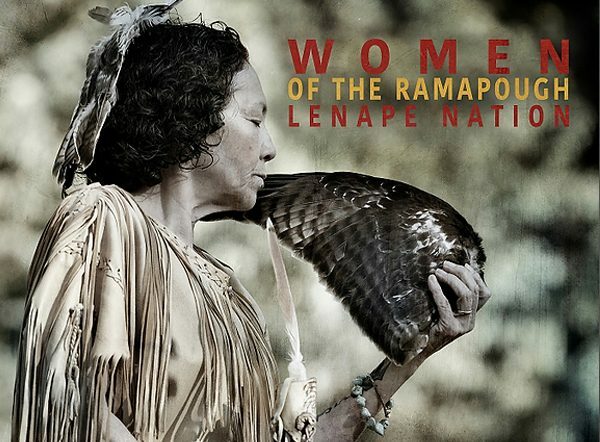 This exhibition is a creative collaboration between the artist and women from the Ramapough Lenape Nation who uncovered long forgotten myths. Using these re-remembered sacred stories as a foundation, Lisa Levart uses a technique of collaging image layers – metal, wood, water and, concrete – into the images and then individually hand painting them with an encaustic medium of Beeswax and Damar Resin. The applied was alters the final images, blending contemporary and ancient portraiture across the expanse of time. 29 ¼ x 24 ¾ inches. Oil on canvas. On loan from Mary Huber. In 1841 the influential educator Catharine Beecher (1800–1878) wrote that although American women of her time were confined to “the quiet circle” of domesticity, they had “a manly energy” and sometimes showed “the hearts and minds of men.” What was it like to be female in19th-century America? Bartow-Pell’s 2017 fall exhibition explores the diverse lives of 19th-century women and girls, from household servants to society women. A fancy dress for a costume ball, a doll’s tea set, and an engraving of women working in a hoop-skirt factory are among the artwork, clothing, domestic items, books, ephemera, and decorative arts that tell the story of female lives in the past. These objects will be on view throughout the fall in the library exhibition space as well as in the period rooms. 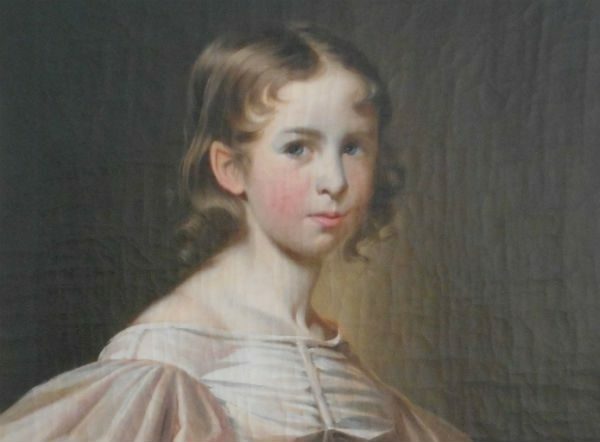 A highlight is a superb portrait of a young member of the Masterton family of Bronxville (owners of the Tuckahoe marble quarry). This exquisite 1834 painting of Catherine Jane Masterton by the Scottish-born artist William Hamilton (1795–1879) belongs to a private collector of Americana and has rarely been on public view. By 1900, although many women still stayed within the domestic sphere, some had entered the professions or were advocates for social reform. And one hundred years ago, in 1917, women got the right to vote in New York State, making this a fitting time to recognize the critical era leading up to that landmark in women’s history. 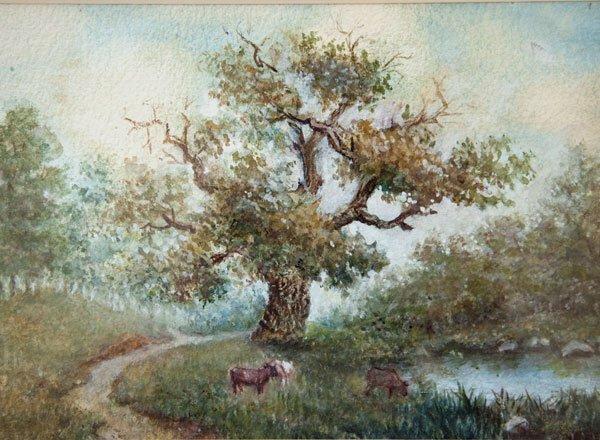 The Treaty Oak, attributed to Nanette Bolton (1815-1884). Oil on canvas. On loan from the Huguenot & New Rochelle Historical Association. An exhibition that explores the history of the Pelham Bay Park, including four centuries and four distinct periods of the Bartow-Pell Mansion Museum. 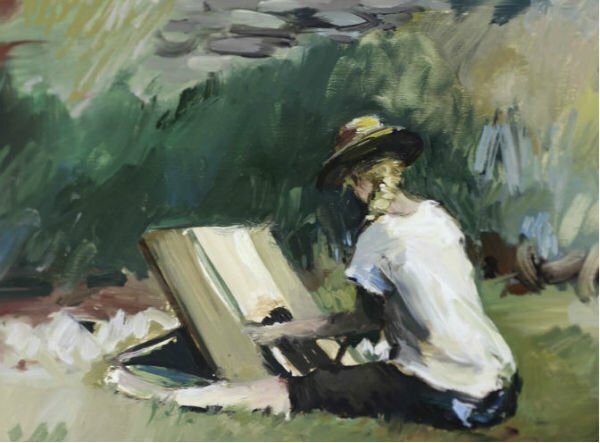 In celebration of the centennial of the formal garden, artists were invited to paint the gardens en plein air on June 9, in conjunction with the annual summer luncheon on the theme of French classical gardens. Paintings created outdoors capture the changing light and atmospheric mood of the historical landmarks and hidden treasures of the Bartow-Pell gardens and grounds. Featured artists include Michele Basora, Mary Colby, Sofya Dudnik, Elise Fechtmann, C’naan Hamburger, Thomas Legaspi, Sarah Olson, Julie Ortiz, Kim Power, Linda Sacewicz, Greg Thielker, Melanie Vote, and Alice Elisabeth Waite. 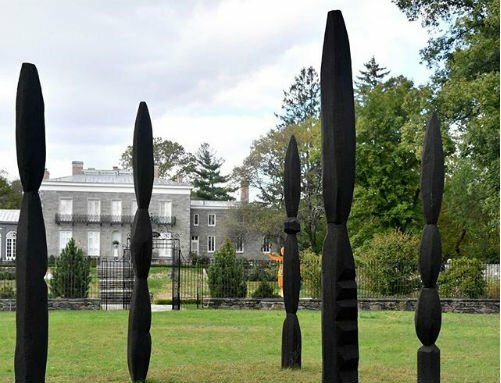 Bartow-Pell is pleased to present an exhibition of outdoor sculpture celebrating one hundred years of its formal garden designed by Delano & Aldrich in 1916. Showcasing fifteen artists whose work draws on the site’s history, architecture, and surrounding natural environment , the exhibition encompasses artworks of steel, wood, fiberglass, ceramic, and recycled plastics, including augmented-reality interventions and kinetic art choreographed by elements of nature. Featured artists include Markus Holtby, Fitzhugh Karol, Wendy Klemperer, William Logan, Shannon Novak, Sarah Olson, Sui Park, Camilla Quinn, Audrey Shachnow, Aaron Suggs, Naomi Teppich and Martin Springhetti, Gregory Thielker, Beatrice Wolert, and Christopher Yockey. Before email and social media there were postcards! 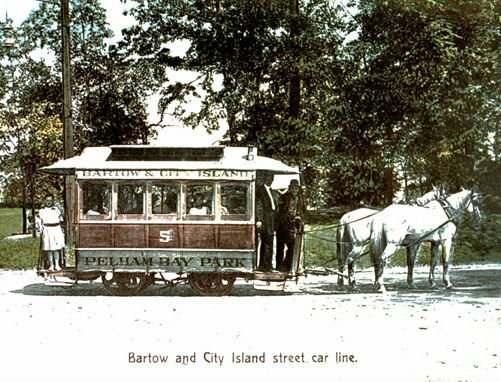 Tour bygone places and spaces of the east Bronx through postcards dating to the turn of the 19th century. Views of historic inns, beaches, street scenes, military camps, sports, and Prohibition-era speakeasies—all from the collection of local historian Thomas X. Casey-offer insight into changes in landscapes and lifestyles over the past century. Thomas X. Casey’s collection includes more than 6,000 vintage Bronx postcards dating from the late 19th century through the mid-20th century. Casey is co-author of Northwest Bronx and Bronx Views, and a founding member of the East Bronx History Forum. He has lectured at the Bronx County Historical Society, Kingsbridge Historical Society, Westchester Genealogical Society, New York Public Library, City Island Historical Society and local public schools. The Gilded Age in American history (ca. 1870-1900) was associated with opulence and luxury, especially in clothing styles. This exhibition features highlights from the museum’s fashion collection from these decades, including women’s, men’s, and children’s garments as well as period fashion illustrations. 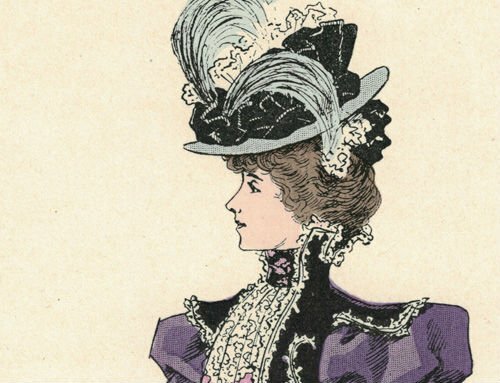 Yet the fashions on display are more than just glamorous, they reveal the larger ideas about marriage and children, family life, and private and public space that shaped the United States at this time. “Gilded Age Glamour” also explores connections between the collection and the history of the Bartow-Pell Mansion Museum. The fashions displayed link the mansion’s beginnings as a grand country home in the mid-19th century with its development as a museum in the twentieth century.